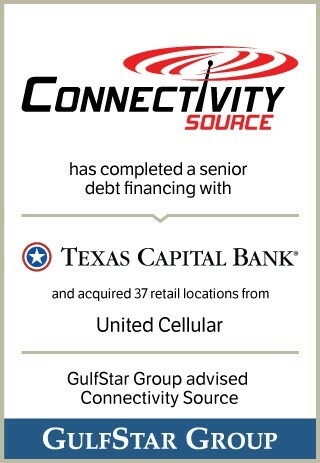 Connectivity Source was founded in 1999 and is a leading retailer of wireless communication services, equipment, and related accessories for Sprint. From its founding, Connectivity has grown to become one of the largest Sprint Preferred Retailers in the country by overall system store count. The Company currently operates 146 locations across Arkansas, Arizona, Louisiana, North Carolina, Oklahoma, South Carolina and Texas.